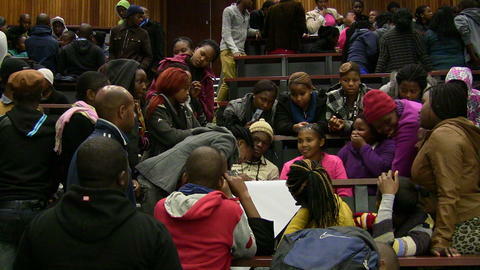 Nyanga’s 2013 Winter School got off to a great start, with 75 learners hosted by TSiBA! The Nyanganites have had a great first week of tutoring, workshops, excursions, team building and all-round fun. 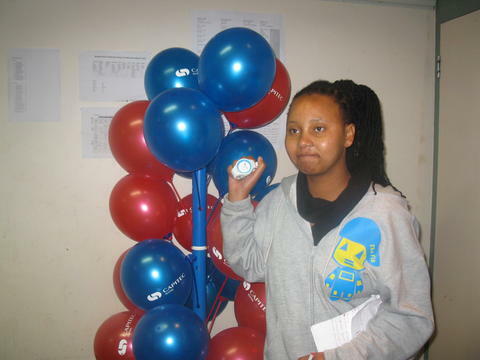 Capitec Bank delighted the learners by showing up for their workshops with a sound system, and a colourful set-up and décor arrangement. Learners were ushered into the workshop venue to the sound of contemporary music, but soon the workshop started and the learners learnt about CV writing and other job-related skills that they will Their second session included all the grades and the team spoke to the learners about using, saving and investing money wisely. Learners got prizes for a variety of things, including, but not limited to great participation, good listening and giving good answers to questions posed. Nelisa Ngqulana, our Head of MIE, ran creative expression workshops with learners, where they learnt how to write poems and express themselves creatively. It was difficult for the learners at first, but with time, each learner got to write something. At the end of the session, the group read all the poems and voted on the top 3, which got the honour of appearing in our first issue of IkamvaYouth News, Nyanga upcoming magazine, being run by the Media, Image and Expression portfolio. In the first week, the group taking media and journalism workshops went through workshops covering a wide variety of issues that young people face in their everyday lives. 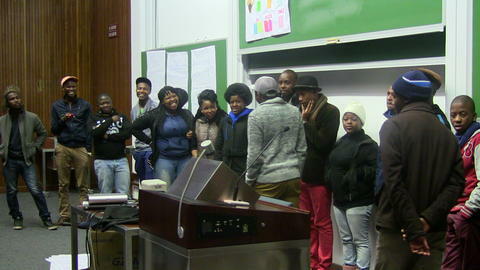 The facilitators used the ikamvanites’ Reel Lives videos from 2012 as starting points and the bases of the discussions. The discussion touched on interesting, yet sensitive topics such as motherhood, fatherhood, family, gangsterism, culture, and homosexuality. The learners who made the videos were available for question and answer sections and the workshops were very emotional, as learners identified with the whole range of issues covered by their peers’ documentaries. Rayne Moses of Nebulas spoke to learners about skateboarding and using your interests in a positive way. After sharing the story of his process towards starting a skateboarding organisation, he asked the learners to give their reasons for attending Winter School. The learners opened up to the facilitators and spoke about some of the difficulties they face, and the dreams they have, which will help them overcome those difficulties. Rayne closed off the session with words of encouragement to the learners and encouraged them to stick to their dreams and what they believe in, because these things will come to pass, if they work towards it and do not get discouraged by obstacles. Luvuyo Rani ran a workshop on Entrepreneurship and Business with a group of learners, who were very touched by what he said. He quickly enabled the learners to identify with him by telling them the story of his upbringing, which, like all our learners, was in the townships. He spoke about his journey growing up and eventually starting his own business, which is now a big enterprise in Khayelitsha, Cape Town. Although Cape Town is a coastal city, the marine world is somewhat removed from the everyday reality of our learners and a workshop by Save Our Seas brought this home. Paul and Zanele from the Shark Centre ran an awesome workshop on sharks and their importance in the marine and therefore world eco-system. To kick off the session, Paul asked the learners what they knew about sharks and all answers mentioned sharks as dangerous predators that bite and eat people, and should therefore be feared. The Save our Seas team then debunked the shark and explained how sharks live, breed, what they eat and revealed the number of people who are actually bitten by sharks each year, which is much less than what people believe. Our learners got the opportunity to view and touch shark skeletons, teeth, skins, eggs and other shark-bits and came away from the workshop more knowledgeable about the world in the deep blue sea. Life Skills by Inspired Inc.
One can never have enough life-coaching, and Bradley van Reenen from Inspired Inc proved this as he ran an exciting life coaching workshop with our learners. This workshop covered identity, goal setting and dreams and before long, even the quietest learners were embracing their vulnerability and sharing their deep-seated dreams and life goals with fellow Nyanganites. It was a very touching session and learners encouraged one another, and got encouragement from Bradley, who assured and reassured them of their ability to rise up to the levels they have set for themselves. The session ended off with each learner writing down their dreams as a reminder for themselves, each day, until they fulfill those dreams. Our Technology and Engineering stream got a chance to work with their hands and make telescopes under the guidance of Cedric from the SAAO. Using simple apparatus, namely cardboard, paper, glue, pins and lenses, the learners made telescopes and before the afternoon was out, they were outside, trying out their new telescopes and engaging in some daylight star-gazing! It has been an event-filled and exciting weekend for learners, tutors and staff members and by the end of the first week, everyone was feeling the strain of the early mornings, the morning cold and the buzz of activity that has been week 1 of Winter School. 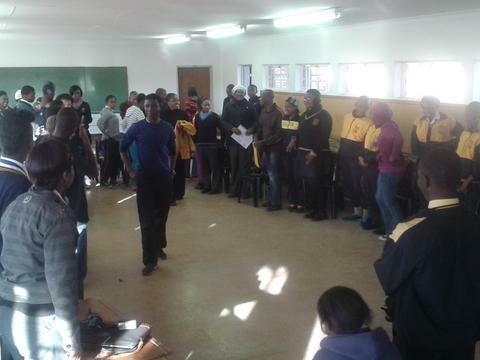 To give the learners a break and to foster good relationships among the different grades, we had a team-building exercise on Friday afternoon, where the learners got into groups made up of the different grades, and each had a tutor facilitating. It was rewarding and sweet to witness the learners affirming one another, talking about the things they liked about each other and then sharing the things they are proud of in themselves, that they wish others knew about them. A huge thank you to all our partners for the workshops, and for putting up with our venue changes, our excited learners, and our busy staff and volunteers. A huge thank you to TSiBA for accommodating us in our large numbers, and finally, thank you to our volunteers and learners for the energy, the commitment and the passion for education, which is the reason why we are here. To week 2 and beyond! After the incredible first day of Winter School, everyone was excited about what the second day will bring. Like the first day, everyone met at the Science Faculty around 9 am. The Agenda for the day was discussed and feedback from students and tutors was taken. 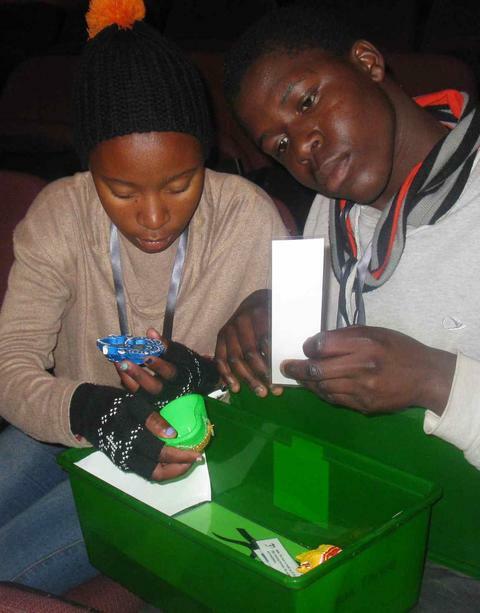 The Learners were satisfied with what they learnt and how the previous day went. Around 9.30 am, the learners were taken to the Arts Block. 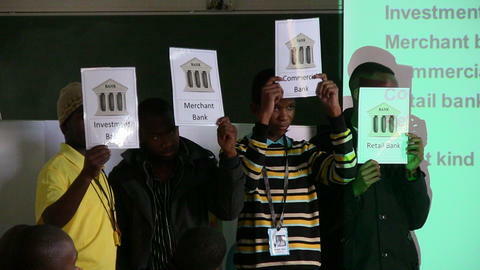 The day began with the workshop from Capitec Bank. Learners were exposed to the skills that the employers look for in applicants and career guidance was provided with resume writing, interview tips and so on. In one of the grade 8 classes, English was the subject of the day. 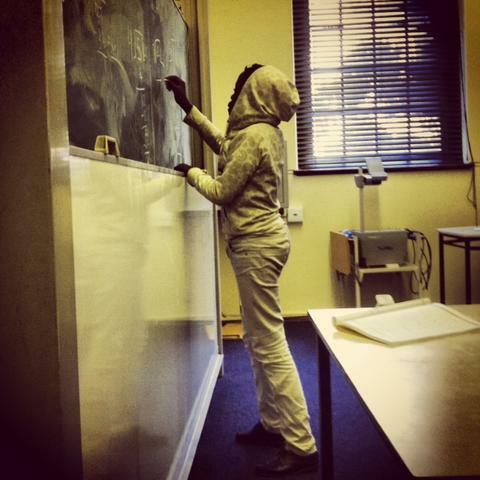 After this, tutors did another exercise and asked them to spell and write words on the blackboard. Then the lunch break was announced and everyone was excited about what they will get for lunch today. After that it was time for the workshops. 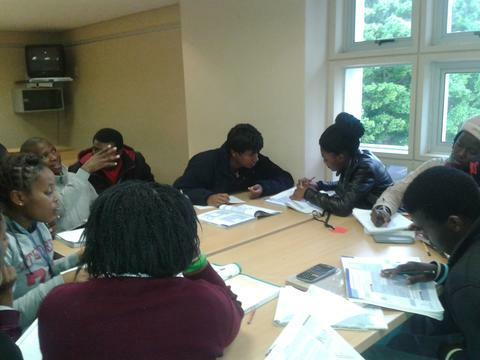 We had Andrea who was running history workshop which it was very interesting to the learners. She was lecturing on the different government styles in different parts of the world. She told the students about the importance of knowing about history, different cultures and how they have shaped the world we live in. After the workshop finished, one of the learners said, “She feels that she knows so much more about Africa now and the struggle some countries went through including South Africa to be what it is today.” WE also had reel lives workshop. They are using media to support education, empowerment and social change. 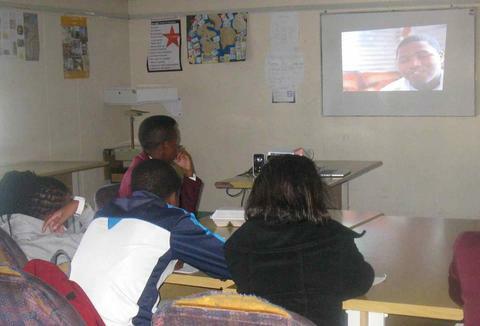 Learners got the opportunity to watch videos that were made by other Ikamvanites. 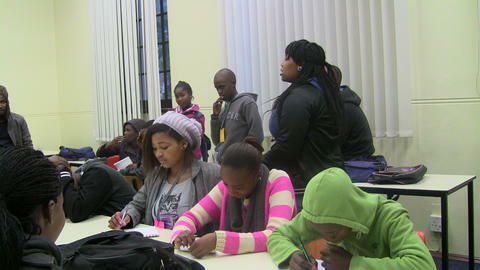 A grade 11 learners said that I am real enjoying winter school especial tutoring. 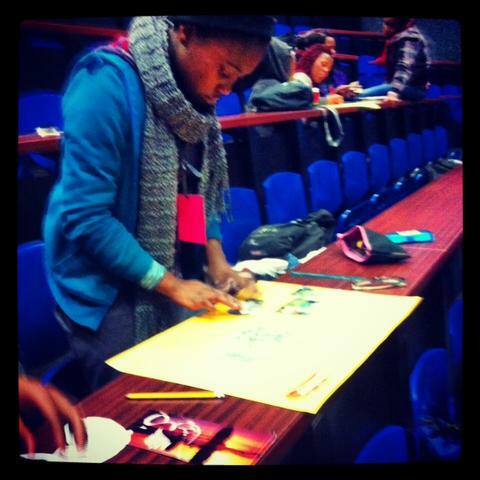 Today was the first day of winter school, the day all the learners, tutors and volunteers were waiting for! You could see the excitement on the faces of everyone that arrived at Upper Campus on Monday. 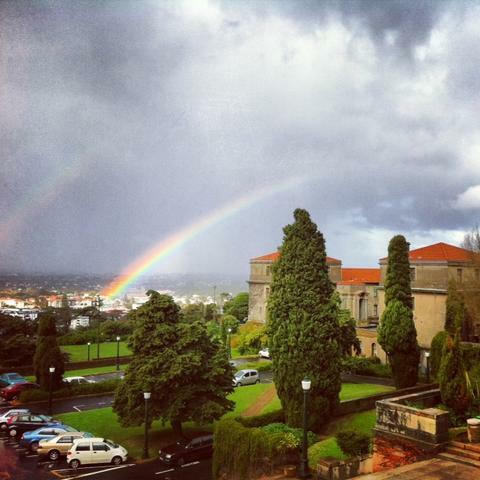 This week the learners are based in the Arts Block on Upper Campus at UCT. We have a lot of international volunteers helping us this year from all over the world – Hong Kong, India, Canada, the Netherlands, China, as well as many ex matrics from 2012 coming back as first time tutors. Thi week we have various workshops happening, one of the very contentious ones were when students were divided into two groups and were asked to debate for/against on topics like HIV Testing, legalisation of drugs and life imprisonment. I was surprised to hear some of the issues that learners brought up, showing the knowledge and reasoning skills they posses. Capitec bank provided a morning workshop where learners were exposed to the skills that the employers look for in applicants and career guidance was provided with resume writing and interview skills. 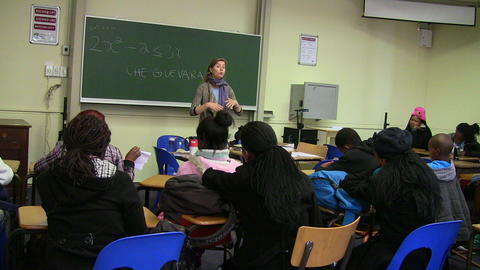 Andrea Sanke is running history workshop for the 2 weeks which is was very interesting to the learners. This week she was lecturing on the different government styles in different parts of the world. She told the students about the importance of knowing about history, different cultures and how they have shaped the world we live in. One of the learners said, “I feel that I know so much more about Africa now and the struggle some countries went through including South Africa to be what it is today.” This week Reel Lives are also providing workshops – they are using media to support education, empowerment and social change. 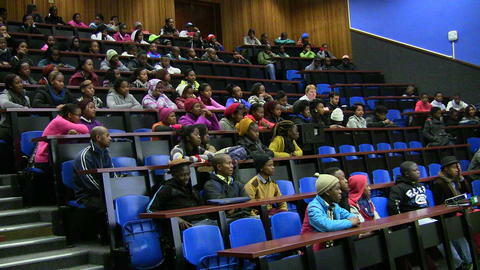 Learners got the opportunity to watch videos that were made by other Ikamvanites. This is just a taste of what has happened at the beginning of last week, we are so excited for what is to come! Patrick is honoured by the Mail & Guardian! 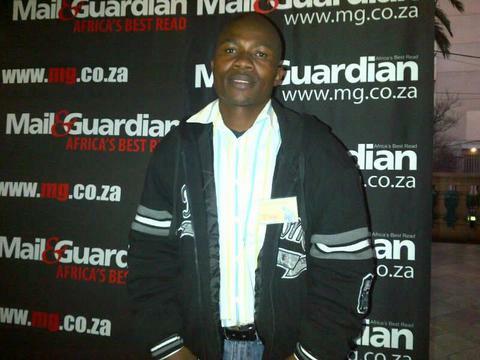 On Tuesday afternoon, in the plush settings of the Emoyeni Conference Centre in Parktown, Johannesburg, the Mail and Guardian launched their annual 200 Young South Africans special edition – and for the third year in a row, an Ikamvanite was on the list! The event was filled with some of SA’s best and brightest young people, dressed up to the nines. 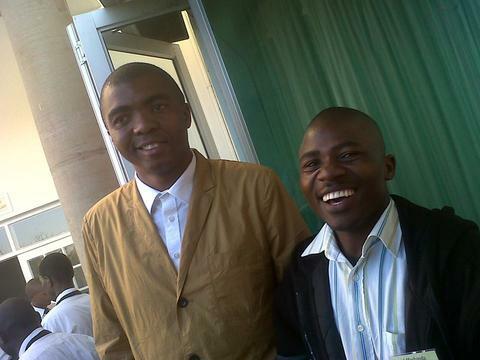 Champage flowed, MC Loyiso Gola cracked jokes, and much networking was had by all. But the real highlight was seeing our amazing Gauteng District Coordinator Patrick Mashanda get some of the recognition he so richly deserves. Patrick has been changing the lives of young men and women in South Africa since long before he joined IkamvaYouth, and his impact is only going to grow from here. Patrick can be found on page 43 of the Mail and Guardian supplement, in the education section. Grab yourself a copy, and be inspired! IkamvaYouth equips learners from disadvantaged communities with the knowledge, skills, networks and resources to access tertiary education and/or employment opportunities once they matriculate. It is a great place for youth that are aiming high in life, who wish to reach great things in future. However, learners who suffer from personal or emotional problems are less likely to succeed academically, stay in school, and develop a love of learning. Some of the Ikamvanites reported a lot of challenges that they experience in their daily lives and requested for assistance. Ikageng Branch joined forces with Family And Marriage Society of South Africa (FAMSA) to address personal and emotional challenges experienced by Ikamvanites. FAMSA is an organization that aims to empower people to reconstruct, build and maintain a sound quality of life. The purpose of the collaboration is to provide Ikamvanites with support to help them succeed socially, emotionally, and academically. FAMSA committed to provide individual counseling, support groups as well as interactive workshops. The ultimate goal is to promote academic success, enhance health, and prevent behavioral problems. 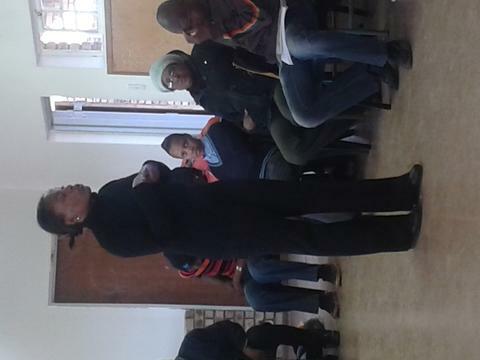 On the 06 of June 2013 Ikageng Branch held an interactive discussion session with the FAMSA team, lead by Ms Rhulani. 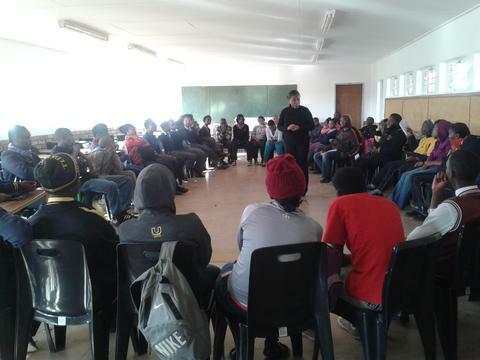 The session involved a discussion about common issues facing township youths; risky behaviors and unhealthy choices. 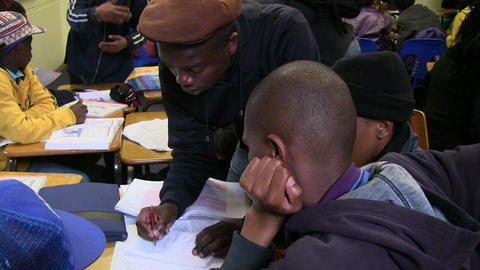 Ikageng learners reported a lot of challenges experienced by the youth in the Ikageng Township. Ms Rhulani thereafter introduced the concept of a support group as a group that presents information, provides comfort, teaches coping skills, helps reduce anxiety, and provides a place for people to share common concerns and emotional support. Ikamvanites were keen on partaking in the group. The interactive workshops will include the use of training tools such as charts, role plays, group discussions and sometimes video footage, the aim is to empower young people in the decisions they will have to make both in the present and in the future. A very special thank you to FAMSA for joining forces with IkamvaYouth in addressing learners’ social and emotional needs and connect such supports to stronger academic achievement.